Born in the US, and one time resident of Rathmines, Mamie Cadden was a midwife, abortionist, and convicted murderer. Her story is a tragic tale of cruelty, malice, and backstreet mystery in Dublin City. In 1891, Mary Anne “Mamie” Cadden was born to Irish parents from Mayo in Scranton, Pennsylvania. At the age of four, Mamie and her family returned to Ireland, where her father had inherited his family’s farm. She would remain in Ireland for the rest of her life. In 1925, Mamie moved to Dublin to pursue her education as a midwife at the National Maternity Hospital, Holles Street. It was in 1931, as a qualified midwife, Cadden bought a property in Rathmines, Dublin, and commenced her own maternity nursing home. At that time, such practices were commonplace, with midwives acting independently from both the nursing and medical professions. It was here that her criminal activity would surface for the first time. Within her Rathmines nursing home, she would deliver babies, and also pass on unwanted infants to foster families. As well as her normal practice, Mamie then started to perform abortions, which were illegal, and remain so to this day. Her activities could not be advertised, but word continued to spread, and women regularly sought her services. In 1939, she was sentenced to carry out a year of hard labour at Mountjoy Prison, when it was discovered she had abandoned a new-born baby on the side of a road in Meath. She then had to sell her Rathmines nursing home in order to pay legal fees. From this point on, her actions would take an even more sinister and disturbing turn. Following her time in prison, Cadden continued with her illegal activities, but this time in rented premises, because she could no longer operate as a legitimate midwife, having been struck off. Just six years after her first conviction, Cadden came before the law once again, when a pregnant woman claimed Cadden had inserted the laminaria tents which were found in her cervix. Laminaria tents are rods which are inserted into a woman’s cervix to induce labour, and were commonly used to carry out abortions. Cadden refuted the claim, but under the Offences against the Person Act, 1861, she was convicted of procuring an abortion, and sentenced to five years in Mountjoy Prison. 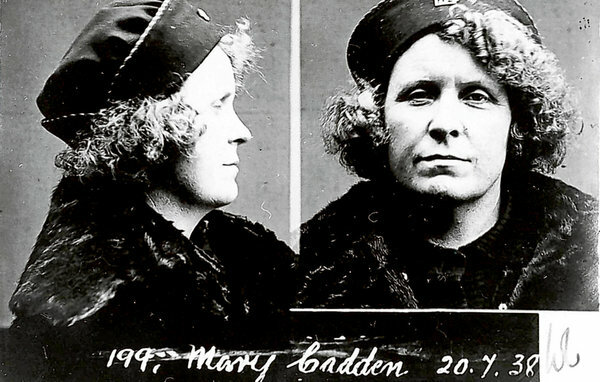 This second term in prison did little to dissuade Mamie Cadden from continuing with her criminal behaviour. Upon her release, she resumed her practice in Hume Street, near St. Stephen’s Green in Dublin. She was still well known enough in Dublin to have women seek her out, even when she was operating out of a one room flat. In 1951, when one of these women died under her care, she callously put her body outside in the street. Not enough evidence could be found to link Cadden with the woman’s death, and it was all of five years later when Cadden's activities were finally brought to an end. In 1956, a client of Mamie Cadden, Helen O’Reilly died during a procedure, and yet again Cadden callously dumped her body into the street behind her flat. 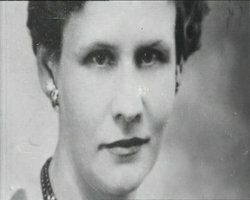 When Helen O’Reilly’s body was found, Mamie Cadden was arrested and put on trial for her murder. She was convicted, and sentenced to death by hanging, but this was later revised to life imprisonment. Once her sentence began, Cadden's mental state was examined closely, before she was declared insane, and subsequently transferred to the Criminal Lunatic Asylum in Dundrum. Just three years into her life term there, in 1959, Mamie Cadden died from a heart attack. Her story is one of immense tragedy, and has been recounted many times, including on RTÉ’s documentary series, Scannal and Thou Shalt Not Kill.